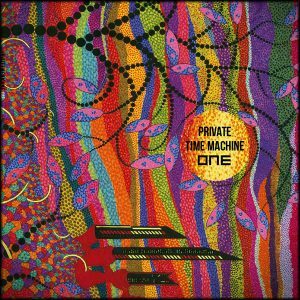 Private Time Machine’s 1st album is available now. The double LP & CD are sold for €20,- per unit and contains both the Vinyls and the CD. Check the Greenbag shop! Private Time Machine is a band that blends 70’s rock, funk & soul with jazz and anything that works. It’s Van Der Westen’s vehicle to mix all his life long influences in one go. From Led Zeppelin to Charles Mingus via Urban Dance Squad to John Coltrane passing by Sly Stone to stop @ Deep Purple and Miles Davis. But most of all it’s really Van Der Westen’s music. His signature of lyricism, melancholy melodies combined with heavy, hard funking & rocking grooves plus clear harmonies deliver what you may expect from a band full of high powered players with an attitude. The poetry of Jimmy Rage and the leader’s ability to deliver a song are a fine mix. Young hornplayers Joël Botma, Donald Simoen, Efe Erdem, Koen Smits blend well with the experienced lead tenorman Guido Nijs. Martin Fondse – here on super 70’s synths- and Rhodes monster Jeroen van Vliet form an indestructible backbone with drummer Marc Scheck, Guitarist Aron Raams & Van Der Westen on bass guitar. It’s a true powerhouse. In the past few years Private Time Machine has been able to thrive because of the regular gigs at Paradox in Tilburg, The Netherlands where the band developed and grew and where ideas were presented and discarded when not up to standard. The work in progress drew a growing audience during the “Playground” evenings where a two hour concert was followed by grooving DJ sets to entertain the audience ‘till closing time.